The 30 Most Visited Cities in the World and their Top Tourist Attractions! Whenever it comes to visiting places, you usually look for places which are away from the chaos of city life and where you can enjoy the pristine beauty of nature and spend some days ideally alone. But, there are also certain cities in the world, where all the travellers wanna go to get lifetime memories? So why not to visit them at least once in a lifetime? Here is an ultimate list of the most visited cities in the world along with their top tourist attractions with amazing pictures and maps! In the southeastern part of China, Hong Kong is the autonomous territory. Once you are in this city-state, you will be welcome with outstanding skyscrapers, the lush green hills, the glittering harbor and lots of other amazing places. Nature has blessed the city open-handedly, and therefore, you can see a perfect amalgamation of urban life beside plenty of natural phenomena. Get a ferry from the Central District that will make you experience the awesome view from the water. You will also get the influence of Buddhism throughout the city. Spend some time in the peaceful atmosphere of Po Lin Monastery. So far you’ve enjoyed the beauty of Bangkok only in movies. This time, book tickets to spend your vacation in this, one of the most attractive cities around the world. This is a city of amazing sites, welcoming people, age-old culture, scrumptious local cuisine and breathtaking local customs! If you are visiting the city for the first time include places such as Siam, Shukumvit, Pratunam on the list. To know the traditional Bangkok more, you should not miss the Bangkok Old City and the riverside. And when you are here, how can you forget about shopping? Keep an entire day for that as the shopping malls will make you spellbound. If you are looking for the best cities around the world, London will always be in the top 5. While you are in this city, you need a proper plan to visit places here. You have to give more importance to the weather of the city while planning as you can see the maximum mood swing of London weather when you are here. Carry umbrella and sunglasses always with you. As London’s weather is not extreme at all, you can visit any time. But, visiting here during Easter or Christmas will let you experience a city bumping with joy and glitter. This is another city-state which is becoming much popular among the travellers around the world. This is a city of reinventing and reimagining itself where people get never tired of creating new possibilities. This is the city which is always throbbing with life. If you want to match your feet with the rhythm of the city, you need to know about the most happening places while visiting Singapore. This is a city for all. Whether you are an art lover, a foodie, action seeker, adventurist, or anything, Singapore comes to you with a complete package. To have a new experience at every step, visit Singapore now. Located on the southern coastline of China, this autonomous body of China is known as the ‘Vegas of China’. Actually, this city is the heaven for the gamblers around the world. But, that is not the only identity of Macau. To experience traditional Macau, you need to delve deep into the city. The city was a Portuguese Colony for a long time; therefore, there is a mixed culture of Portuguese and Chinese style. You can visit the Portuguese architecture on the building while walking along the streets, paved with Chinese tiles. Start your beautiful day at Macau with Chinese breakfast that can stretch towards a full-course Portuguese lunch. If you are planning to have a fun time with your family and friends, there can’t be anything than visiting Dubai. Whether to enjoy world-class shopping or to enjoy the multi-cuisine restaurants, Dubai is a city to get it all. How about spending an afternoon at a salon and spa? Yes, that can also be done there. And don’t forget about the beaches. The sunset in any of the beaches in Dubai can create lifetime memories for you. Do you like skiing, not a problem at a local desert here! If you are planning the honeymoon, there is no better place than Dubai to impress your newly-wedded wife. You can have enough together-time while enjoying the city, hand-in-hand. Whether for a destination wedding or if you are an art connoisseur, Paris never let down any of its guests. The city of light and fragrant will welcome you with all its treasure. Whether you visit the Eiffel Tower, or just roam around the city with a baguette, the city will present surprises at every turns you cross. Paris offers beautiful weather year-long, so you can visit the city any time. But, avoid August as this time there is a vacation and everything remains shut. For the rest of the year, Paris is ever ready with its bistros, museums, boulevards, designer shops and unique wine bars. This is one of the most expensive cities in the world. The city is the trendsetter of the world. Whether it is any new fashion or some world-class cuisine, New York will offer you a lavish holiday to fill your life with fun and excitement. There are certain places in New York that you shouldn’t miss. Include Times Square where you can watch world-class Broadway. Visit the Statue of Liberty, Empire State Building and so on to fill your bag of experience. Apart from that, you should also plan for Brooklyn Bridge Park, Central Park, Metropolitan Museum of Art and lots of other places. Located at the gateway between China and Hong Kong, Shenzhen can impress you with its beauty. If you are planning a vacation to Hong Kong, you can start your holidays from here. This city is a business hub in the country. But, that is not the only reason for its popularity. Each year, people visit Shenzhen in millions. And that is because of the huge shopping malls from where they can buy materials of international standard. The amusement parks are great for the families who have kids. If you are on a business trip, your family won’t get bored at all while you are in this city. Malaysia is not only about Singapore. Once you are in Kuala Lumpur, you will be mesmerized by the skyline, skyscrapers, Mogul-style domes, streets full of food stalls and lots of other amazing things. This city will enthral you with natural as well as manmade landmarks. Being the capital of Malaysia, Kuala Lumpur is mingled with lots of culture and tradition. There are Malay, Chinese and Indian citizens who have adorned the city in their own way. With Petronas Twin Towers, botanical gardens, street markets, and religious spots, like Batu Caves, Kuala Lumpur never gets tired of surprising you. Plan for Kuala Lumpur for your coming vacation. If you are looking for a city which has all the amenities of urban life while you also get the chance to make an escape into nature, Phuket is the place. Once you see the turquoise blue sea and the long stretched sandy beach, you will instantly fall in love with the city. You can have gone for adventure sports on the beach that includes scuba diving, snorkelling and so on. But, what you can enjoy the most in Phuket is its nightlife. Are you planning your bachelor party and looking for some incredible place? Phuket is the place you are looking for. If you are interested in the history of a civilization, you should visit Rome once in your life. While talking about Italy, you will get numerous places to visit. But, not going to the centre of the Renaissance will be a great mistake. Every corner of the city is full of historical evidence of the glorious past of a strong civilization which was one of the most important ruling powers of that time. What to visit in this city? Rather, you should ask what not. From the Colosseum to St. Basilica, and the Vatican City, you can cover it all when you are in Rome. The capital city of India is the epitome of mixed culture and tradition. The entire Delhi has different characteristics in it. If you go to Karol Bagh, you can see the middle-class lifestyle while Greater Kailash will show you the exuberance of lifestyle. Being the capital of the Mughal Empire, the architecture is highly influenced by that style. And when you are here, you can’t miss the seventh wonder of the world, the Taj Mahal. Visit it on a full moon night to experience the ultimate romanticism of the place. From having a variety of street foods to shop contentedly, Delhi has more things to surprise her visitors. The capital city of Japan is the most populous metropolis in the world. It includes several towns, cities, villages and even two attractive islands, Izu and Ogasawara Island. Once you are here, you can experience the culture of Japan along with the dining style, means of entertainment, endless options for shopping and lots more. What will make you surprised at Tokyo is the orderly crowd. With more than 35 million people, this metropolis can maintain order amazingly. Every single person will wait to cross the road until it is signalled. Also, you should remember that you must not tip anyone, anywhere in Tokyo. Go to Taipei as this city is best to explore solo. And while exploring the city, you can also dig down yourself and get the answers to all your questions. Usually, this city is famous for the night markets and the lip-smacking street foods. This is a city of fusion culture. While you will see the dominant characteristics of Chinese culture in this city, there are parts which have accepted the Japanese, American and Southeast Asian cultural influence. Another exciting thing about Taipei is that the majority of apartments here has no kitchens. Dining out is hugely popular as the foods are cheap, of good quality and tasty. While talking about the most attractive cities around the world, the cultural capital of Turkey definitely has to be on the list. This is a city which can show you the perfect amalgamation of east and west culture. Being located in the middle of both completely different worlds, Istanbul is rich in a variety of layers in history, colours, food, clothes, scents, and tradition. When you are here to know about it, it will open itself to tell you stories. Spend your time in the small mosque, the gardens or at any roadside tea stalls, you can get the whisper of the city that tells you about its glorious history. Seoul is one of the most highly fashionable and technological cities around the world. The deeply rooted culture and tradition, absolutely unique architecture, unique food culture, along with the dynamic visiting places, this city is always throbbing with life in the K-Pop beat. Seoul will welcome you warmly, especially during the fall and the spring, which are definitely the best seasons for a visit. You can see it in its changing colour these times. While spring will bloom in cherry blossom pink and white, you can get a fiery red and orange during the fall. As this busy city is located between the South China Sea and Hong Kong, it has become one of the busiest business hubs in the country. But, that won’t desist tourists to enjoy the city in the full. If you are on a business trip, Guangzhou is the best place for that. In between your busy office hours, you can take a walk through the leafy alleys while getting astonished by the soaring towers and skywalks. While here visit places like New Guangdong Museum, the temple of the six banyan trees, Yuexiu Park, Guangzhou Opera House and others. You can call it in many names, ‘the City that never sleeps’, ‘City of Dreams’, ‘Filmistan’(as the Bollywood industry is here) and so on. Initially, the city was known as ‘Bombay’. Later, it became ‘Mumbai’ and the name is derived from the temple of Goddess ‘Mumba’. Mumbai is also known as the front door of India as this is the biggest trade hub on the western side of the country. With traffic jam, honks of cars, slum dwellers, and hawkers, this city has its own charm. Visit the temples; roam around the Marine Drive or go to the lavish restaurants, Mumbai has it all to satisfy its guests. This is the holiest city for the Muslims around the world. As it is the birthplace of the Prophet Muhammad, this is the pilgrimage for every Muslim. Visiting Mecca once is the dream of them and they arrange money throughout their life for this. Usually, Mecca is not that much a welcoming city for the non-Muslims, but that doesn’t mean it is not beautiful. The mosque is itself a work of art. The architecture is amazing that will definitely attract tourists. Each year, the number of visitors crosses millions in Mecca. If you are willing to spend your vacation in a beach town, Miami will definitely be one of the greatest places in the world. This is really a handsome city to spend your holidays. The artworks of the buildings are worth to watch while the exotic beaches will cast spell on you. And when you are in Miami, how can you avoid the blazing nightlife over there? Spending the sleepless night on the beach with your beau is itself a carnival of life. Also, you should visit places, like Fairchild Tropical Garden, Perez Art Museum, Bayfront Park and so on. To experience Barcelona the most, you can discover the city on foot. Take your backpack and a map and start strolling. If you are alone, exploring the city will be more exciting. The modernized architecture, especially the work of Antony Gaudi is really a must visit for the tourists. Along with that, you should also visit Casa Amatller and Palau de la Musica Catalana. For live music concerts, Barcelona is highly popular among the tourists and the locals. Check out the programs at The Gran Teatre del Liceu, which will make you spellbound with its golden decoration, plush red carpet, and ornate carvings. From the movies, you are quite well known about the beauty of Pattaya. Yes, this beach city has become too much popular because lots of shootings are done here. But, if you want to have a live experience of the city, book your flight tickets now and enjoy it on your own. It is the city which comes with picturesque natural beauty. The beaches are awesome to spend your day. There are lots of beach sports you can play over there and take part in lots of adventures. The Buddhist temples are worth to visit here. Don’t forget to experience the authentic Thai cuisine while you are in Pattaya. China’s biggest city with 24 million residents also gets numerous visitors each year. While Shanghai is rich in its history and culture, this is also bubbling with modernization and glamour. The first thing that drags your attention in this city is the architecture. Visit the Buddhist temples, the Jewish synagogues, and the Jesuit cathedrals; with mixed culture, these buildings will also give you ideas about different types of architectural influence. When you are in a new country, you definitely want to shop. Hop in the boutiques or the marketplaces to find authentic Chinese materials to gift your friends and family back in the country. If you are a fashionista and always look for what is trendy, visit Milan especially when the fashion weeks are celebrated there. You will get to see the best fashion in the world. To memorize your visit, you can also delve deep into the city more. This is the fast-growing metropolis where looking good is must and you should always be in etiquette. Visit the luxurious spas, hotels, restaurants, and galleries and fill your memory book with the best memories you can gather. Italian cuisine needs to be mentioned especially while talking about the city. You can have authentic Italian dishes along with the twist of Milanese cuisine. For the history buffs, this is another dream destination. The baroque and the gothic architecture of this city talk about the rich history. Also, you should not forget to visit the astronomical clock of Prague. That is 600-year-old and as beautiful as it was at its beginning days. Are you fond of beer? Prague is the city of the Europe where you can get the best quality beer that will leave an unforgettable taste on your palate. Whether you visit the famous Prague Castle or roam around Old Town Square, the incredible architecture will surely blow your mind. 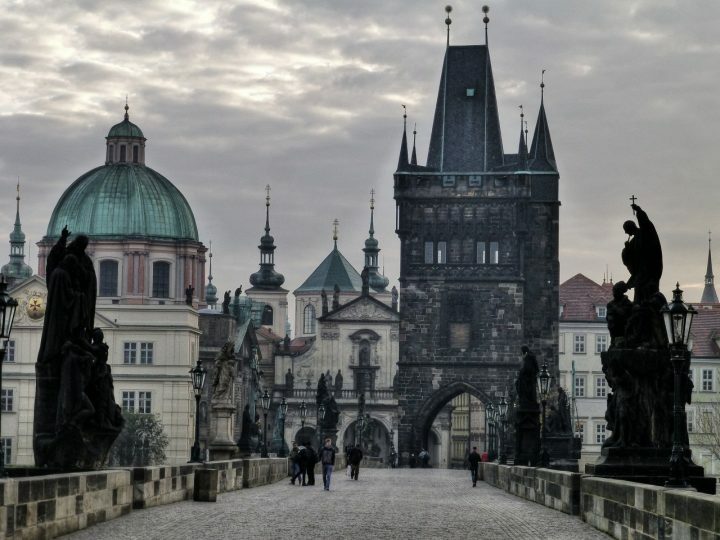 Read more about the best places to visit in Prague! This can be a fairy tale city for many tourists. Enjoying the view, while boating in the golden canals, is amazing. The gabled houses, lush green parks, whirring bicycles, roadside cafes, exciting shopping centres – Amsterdam is an amazing combination of all. Besides these, the quirky nightlife of the Dutch Capital always makes it exclusive than any other city in Europe. If you want a list of must-visits in Amsterdam, you should not miss the royal palace, Koninklijk Paleis, museums, like The Van Gogh Museum, 47-hectares Vondelpark and so on. This city is so beautiful that it will compel you to visit again. You are welcome to ‘Sin City’. This is the city of the carnival. If you have any weird dream, it’s only in Las Vegas where your weirdest dream can come true. This is the city that never sleeps. Whether you are in the plush casinos, or in the nightclubs, the night will get younger as time goes by. You have to keep up the pace with the lively life of this city. But, when you are here, you need to follow certain rules too. Like, there are norms you have to follow in casinos and clubs. Know these well to play safely in Las Vegas. This Turkish beach resort is popular among the tourists for its wonderful beaches, azure blue water and obviously the charismatic culture of the city. of There are plenty things you can do in Antalya. This labyrinthine old city offers numerous historic sites that include lots of ruins from where history will whisper to you. If you are not a history buff, you don’t need to worry as the city is not boring at all. The turquoise coastline with a white sandy beach will make you forget all your troubles of life and have some real fun. From Hadrian’s Gate to Old Town, Kaleici, there are numerous spots of sightseeing in Antalya. Vienna is the city of parks, palaces and obviously of sausages. The Austrian capital is famous for the very high quality of life and while you visit the city as a tourist you can understand that easily. The imperial palaces and the baroque streetscapes will mesmerize you on the go. You can take any ride to roam around the city, but what you experience by riding on a bicycle is really exclusive. There are countless kilometres of cycling paths in Vienna and around that will help you to have a great experience of sightseeing. Rent one and have a tour through the city on the Danube. So, here you get to know about the most visited cities in the world. Each one of them is unique and has an exclusive scent, taste, culture, history, and tradition. I used Euromonitor International statistics and their numbers of the visitors per each city. While some cities are glorious with its past, there are other cities which are booming faster to be the greatest metropolis in the world. While some show you better sunrise, the other ones have exotic nightlife. Therefore, if you are planning the vacation, you can randomly pick a place and set on. 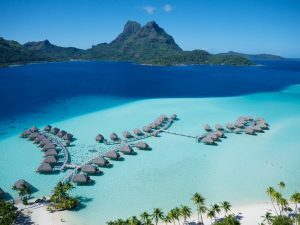 If you are still looking for more holiday ideas, check our article about Most visited countries in the world!